Why does my server "time out" when processing a very large number of bookings? Every web server has a "time out" setting - a time after which a running process is automatically terminated if it's still running, in order to protect the server's resources. Typically servers have this set to around 2-5 minutes - more than enough time for most operations! If, however, you have a slow performing/heavily loaded server, and attempt to perform a very large task - such as modifying a vast number of bookings in one go, this has the potential to exceed your server's timeout period (although reports of such occurrences are extremely rare). The easiest way is to simply reduce the amount of bookings you're attempting to add/modify/delete in a single action. For example, if you need to add a booking to every single calendar date for the next two years, and you find the operation "times out", consider splitting such operations into two, and add half the bookings at a time. Reduce the number of "watch notifications" in use. For example, if a number of your users have set up "watch" triggers to receive email notifications whenever bookings are modified, and you then attempt to modify a large number of bookings in one go, MIDAS potentially has a lot of email notifications to send, which can slow down the overall speed/performance, especially if sending via a slow SMTP server/email gateway. If you have access to your server's core configuration, consider increasing the server's timeout period as necessary. On Apache servers, the "Timeout" directive within the server's httpd.conf file is the setting you'll need to increase (the default is 60 seconds). Consider upgrading your server/network speed, or relocating MIDAS to its own server. 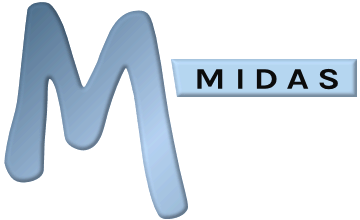 Running MIDAS on its own server will mean that more server resources can be dedicated exclusively to your MIDAS system, and therefore traffic to the server and server resources won't have to be shared with other sites/applications.